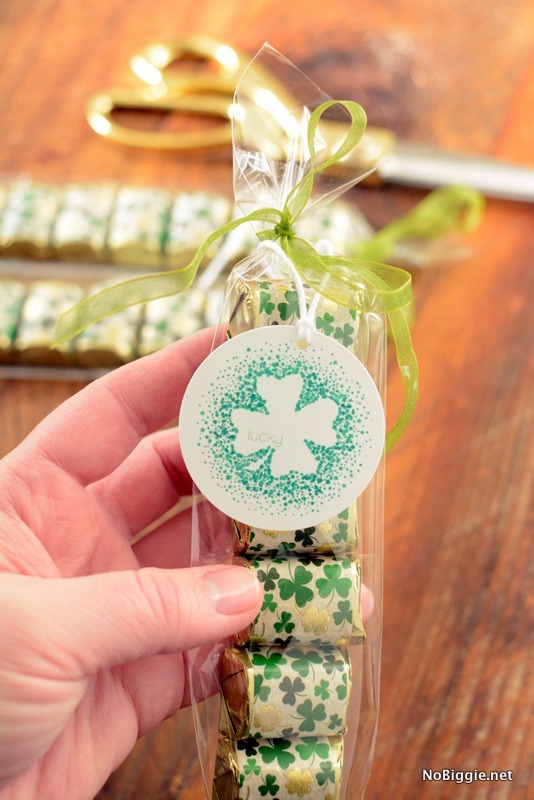 We have a sweet treat idea for you to give for St. Patrick’s Day …and Easter. 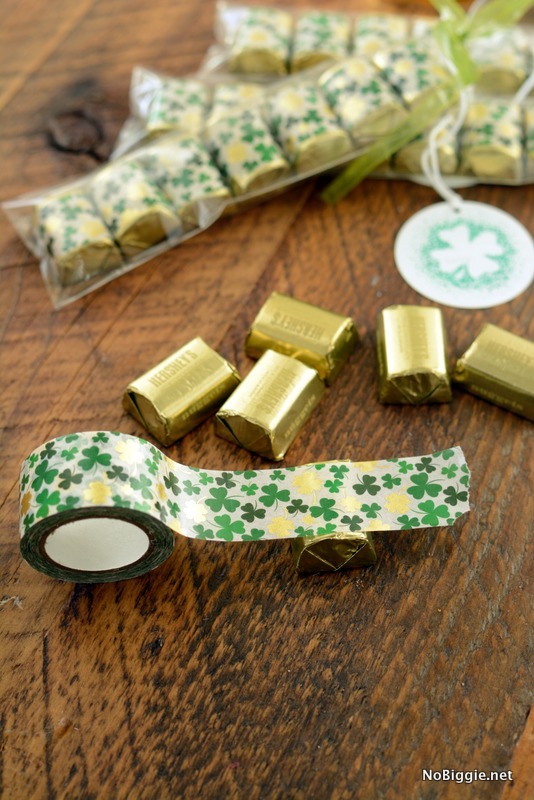 This idea combines a few of our favorite things…washi tape, chocolate and a cute printable tag to go with. These mini chocolate mailboxes for Valentine’s Day were so popular, we thought it would be fun to share more ideas using these cute little chocolate nuggets. *Or to make it really easy, one of my favorite local scrapbook stores, Pebbles in My Pocket sells these cute gift sets with the washi tape, plastic sleeves, ribbon and darling gift tag to go with…you can shop the Gift Sets here. 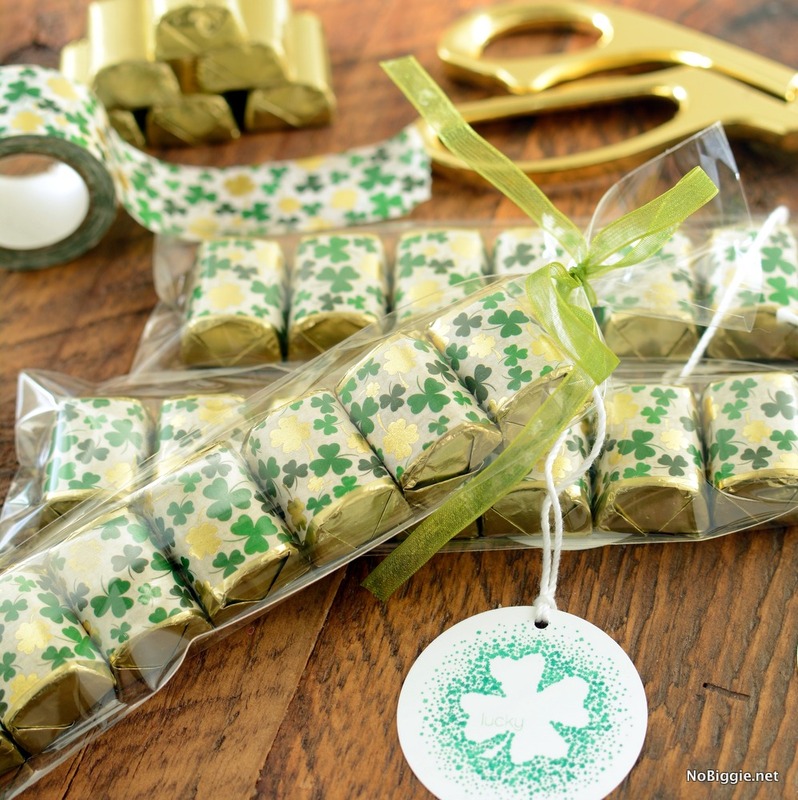 This washi tape is perfect for these gold wrapped chocolate nuggets because it’s one inch wide and some of the shamrocks have gold foil. They look darling together! Now for the printable tags…when you download the Lucky PDF you will find a bunch of different sizes of this cute Lucky confetti print. Page 1 – 20 -1 3/4 inch prints for gift tags – to be cut out with a 2 inch circle punch. 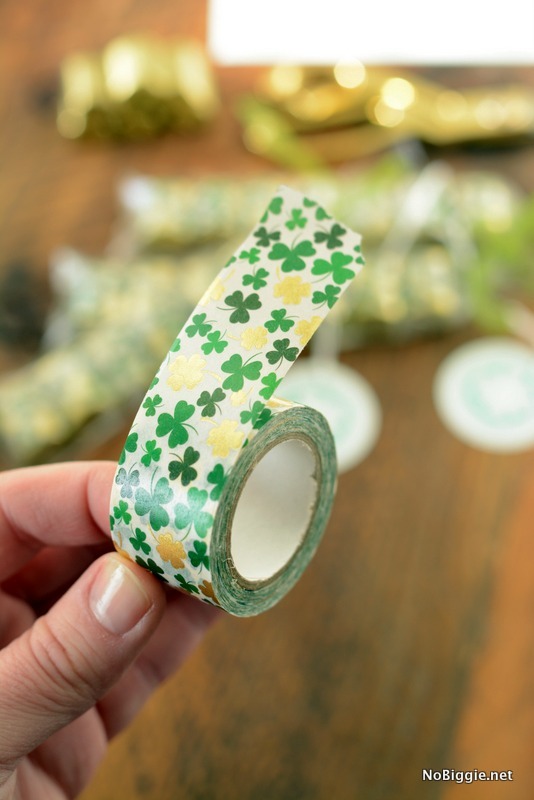 If St. Patrick’s Day is not your thing, you can make these little gifts for Easter too. You can shop Pebbles in my Pocket for the Easter version of these gifts. The little bunnies are so cute! 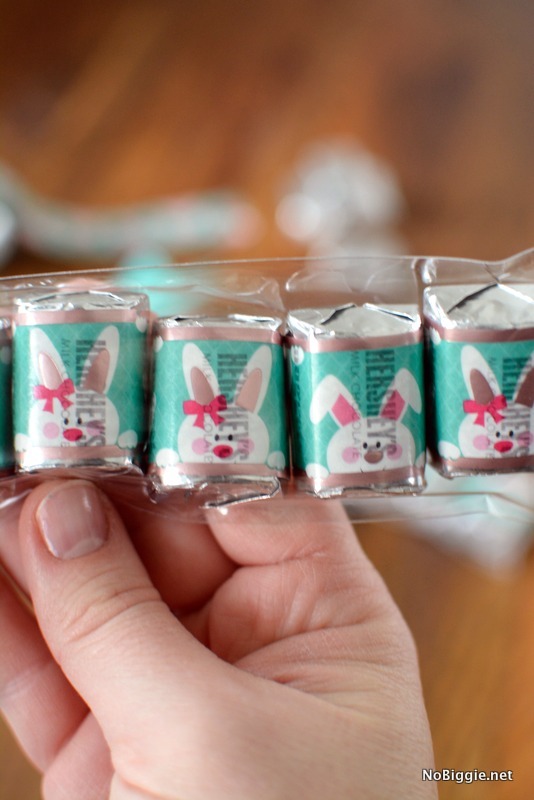 The light pink color of the bunnies ears are in a pink foil. I love the look of the foil with the metallic wrappers of the chocolate nuggets, it looks so good together. 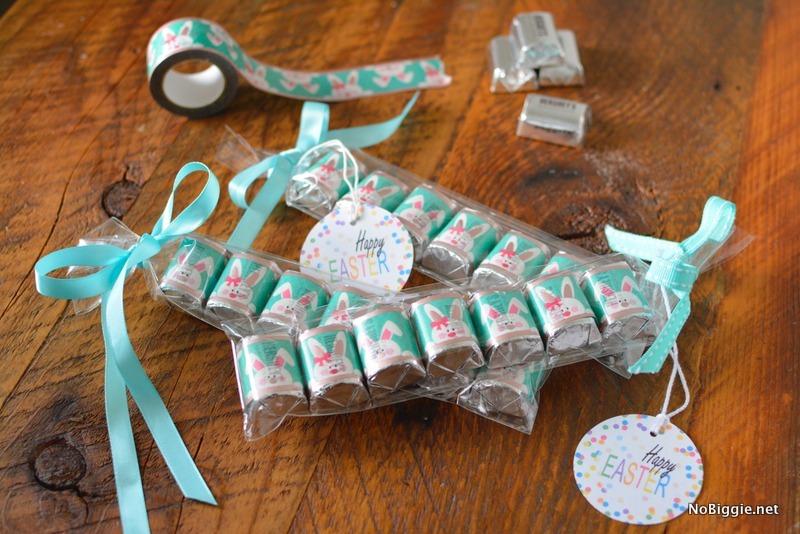 You can download these cute Easter printable tags here. Oh my goodness, Kami! These are so cute! I love the simplicity yet they look so refined and beautiful. Thanks for the fun idea and printables.